Yesterday I made the announcement we would be discussing the book, “Ancient Post-Flood History” by Ken Johnson. I’d like to start the discussion with Greece and their gods, because those are the gods most people are familiar with (I think). What you’re about to learn is that the greek myth religion was actually based very much on fact. Zeus, Saturn, Uranus, etc. were all real people who later became deified as gods. Even the Egyptians and the Vikings did the same thing. They took regular people and deified them later on. It should be noted that I’m far from an expert on any of this, so nobody needs to be quoting me, but if you find the topic(s) interesting, then you should really buy the book. There is much more in the book than what I’m writing in this blog. According to the author it was the sons of Javan who settled in Greece after the dispersion; he also makes an interesting observation that Javan is the modern Hebrew name for Greece! From Genesis chapter 10, the first two verses, we see that Javan is one of the sons of Japheth. The sons of Gomer, coming from the area of ancient Scythia, migrated to the area surrounding the black sea. 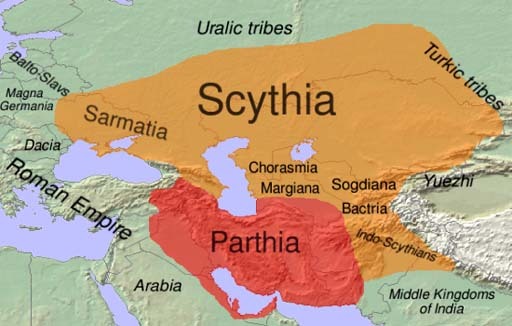 I tried to find a good map of Scythia, so you could see, but the photo below is the best I come up with for right now. The black sea would be the body of water above the “a” in Roman Empire. Acmon has a son named Uranus who in turn has two sons named Titan and Saturn (a.k.a. Kronos). Titan is the older of the two and wants to be the next ruler, but his mom and two sisters supported Saturn. Titan makes a deal with his brother that if Saturn would allow one of Titans sons to be the next ruler, then Titan would allow his brother to rule the kingdom. Saturn apparently accepts the deal and becomes the de facto ruler of… whatever empire it is they had at the time. Then we learn that an oracle prophesies one of Saturns sons would overthrow him, Saturn then becomes paranoid and starts sacrificing all his sons to “the gods.” He even went to the extreme of castrating his own father (Uranus). Saturn marries his sister Rhea. She becomes pregnant and runs off to Mt. Ida on the island of Crete to have her son <drum roll> Jupiter/Zeus! Isn’t this stuff crazy? Zeus is the child of Cronus and Rhea, and the youngest of his siblings. Cronus sired several children by Rhea: Hestia, Demeter, Hera, Hades, and Poseidon, but swallowed them all as soon as they were born, since he had learned from Gaia and Uranus that he was destined to be overcome by his own son as he had overthrown his own father—an oracle that Rhea was to hear and avert. Rhea hid Zeus in a cave on Mount Ida in Crete. From there on the story of Zeus becomes more myth than fact, but do you see how the ancients could easily have taken a true historical even and twisted it to become a new religion? In the classical myth story Cronus(Saturn) eats his children versus in real life where he sacrifices his children to the gods. He is married to Rhea (same in real life) and she runs off to Mt. Ida to have her child (same as in the myth story). In real life Saturn hears about his death by his son through an oracle and in the myth story he hears it from Gaia (mother earth). Make sure to come back to this blog on a regular basis as we cover some of the other awesome chapters in this book. I’m not covering it all, so you’re going to have to buy it should you want to know more, but you’ll get enough here to perhaps peak your interest. Next time we’re doing Egypt and that’s one that you will not want to miss. Food for thought until next time: I was watching the history channel one time on Egypt’s early history. They said how Egypt’s history is divided into two groups 1) Old Kingdom 2) New Kingdom. The “experts” on the history channel said they weren’t sure why or what, but something happened in Egypt’s history that destroyed the old kingdom. They don’t know why, but they do know that it happened. They also made mention that in the new kingdom pharaohs were no longer worshiped as gods. Let me ask you something, when Moses led the Jewish people out of Egypt – what do you suppose were the consequences? 5) Egypts Pharoah and a good chunk of its military drowned in the Red Sea. What would you suppose that does to a nation? Does it make sense that after this event the Egyptians might not be so eager to continue the practice of worshiping their pharaohs as gods? Rhetorical question. Keep your eyes on this blog. You’re not going to regret it. Johnson, Ken. Ancient Post-Flood History. CreateSpace Independent Publishing Platform, 2010. 190. Print. scythia. N.d. Photograph. Parthians: From Parthia to GothicaWeb. 7 Sep 2013. <http://www.britam.org/PARTHIANS.html&gt;. 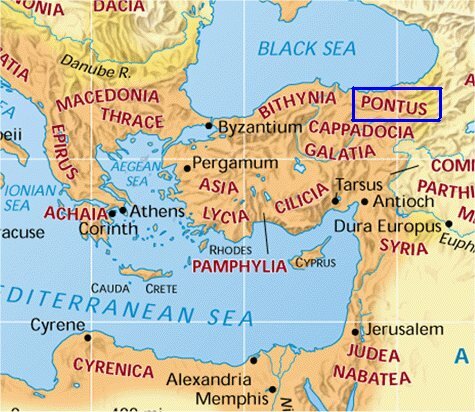 ActsMap_Pontus. 1995. Photograph. Lakeside MinistriesWeb. 7 Sep 2013. <http://lakesideministries.com/2ndCovenant/Acts/Acts_Images/ActsMap_Pontus.htm&gt;. 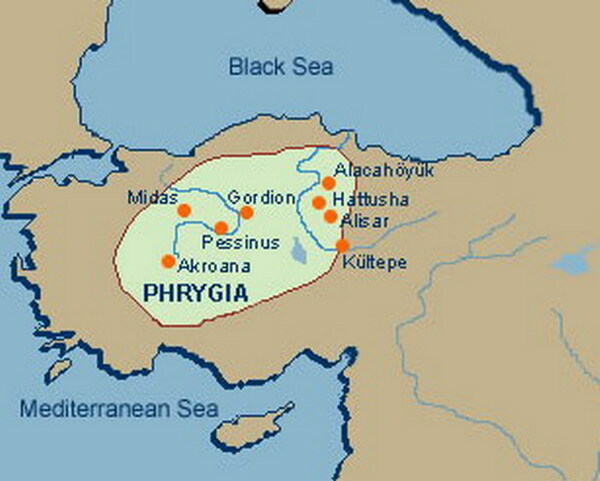 phrygia.jpg. N.d. Photograph. Phrygia – Travel Link TurkeyWeb. 7 Sep 2013. <http://www.travellinkturkey.com/phrygia.html&gt;. It strikes me as funny now whenever skeptics ask me why there’s no record of the Exodus in the Egyptian records. Absolutely there is. And the record of the “gods” as egomaniacal conqueror men who demanded worship, and wrote their own exaggerated exploits, is kinda funny. And logical. Amazing how no one bothers to look this stuff up. Historically, when you trace back the origins of the various religious systems, it delineates them from the original truth quite easily. Sort of takes the starch out of the arguments that they’re all the same sort of meritless fictions. Hey did you know they found Sodom and Gomorrah? I found out a week or so ago. It will be one of my next articles if I manage to find enough “good” references. This guy named Ron Wyatt keeps popping up on google, but so does a lot of negativity around him. Yes I’ve heard that they lie on the shores of the Dead Sea, and under the sea. Destroyed in cataclysmic fashion. Generally, anyone who finds stuff which seems to verify Scripture is automatically dismissed as not being a “credible” archeologist, but merely a religious hack hired by evangelicals.